In a small Arizona town, a sound technician (David Keith, Firestarter) becomes the prime suspect when his clients are slaughtered. Even his wife (Cathy Moriarty, Raging Bull) suspects him of being the man behind the heinous crimes. A really odd duck that alternates between dazzling and tasteless. 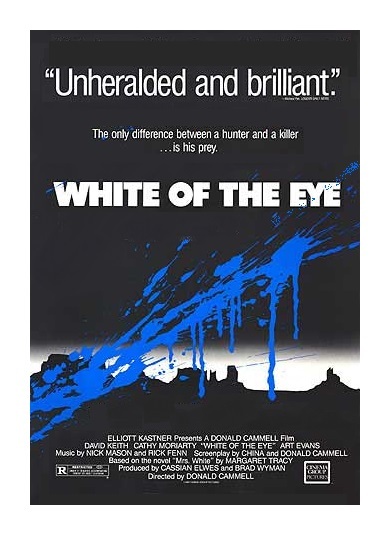 White of the Eye is a pretty ambitious movie. It explores aspects of mysticism and ritualism. It is also heavy on symbolism. Honestly, I still have no idea what this movie is about. Does it have a point? I can’t say with certainty. Director Donald Cammell (Demon Seed), who co-wrote the script alongside wife China Kong, creates stunning images, but the unfortunate fact remains that these admittedly eye-popping visuals operate in a vacuum. Cammell was a painter before he became a filmmaker and that may help explain why this movie is such a visual treat. It’s really too bad that Cammell didn’t pay as much attention to the storyline as he did to the camera and editing. Cammell has problems merging his superior technical expertise with the natural progression of the narrative. The movie has intriguing ideas, but at some point it all goes wrong — the climax is particularly unsatisfying. I do give Cammell some kudos for downplaying the mechanics of the horror genre in order to make room for the dynamics of the main’s character’s dysfunctional marriage. That’s something you don’t normally see in a movie about a serial killer. All flaws notwithstanding, the actors are very good. I particularly liked Cathy Moriarty’s performance as David Keith’s confused wife. Art Evans (Ruthless People) gives a fine performance too. Director Cammell’s wife plays the role of Ruby. 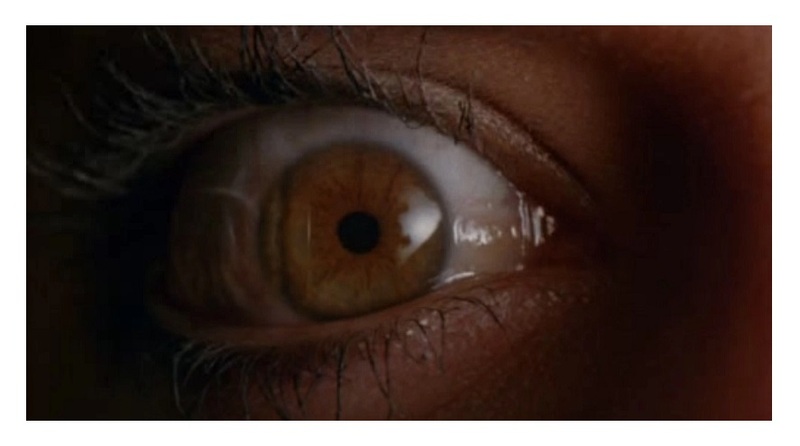 White of the Eye has flashes of brilliance, but the bad tends to outweigh the good. That being said, I couldn’t turn it off. At the very least this is a movie filled with energy and attitude. The film has since gained a cult following (Marlon Brando was allegedly a huge fan of the movie). Color, 110 minutes, Rated R.